-There are no adverse results, such as waste or greenhouse gases. -The land beneath can usually still be used for farming. -The wind is not always predictable. -Suitable areas for wind farms are often near the coast, where land is expensive. -Some people feel that covering the landscape with these towers is unsightly. -It can be dangerous to wildlife (migrating flocks tend to like strong winds). -Television reception can be affected in nearby areas. 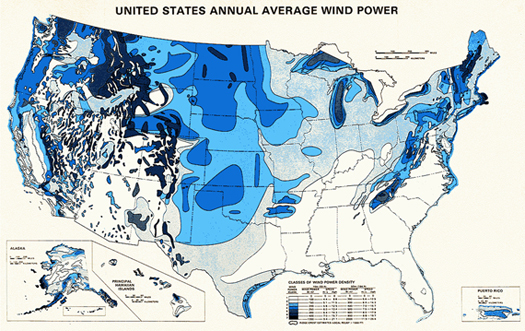 -Wind generators have a reputation for making a constant, low, "swooshing" noise day and night, which can be an annoyance. The best places for wind farms are: coastal areas, atop rounded hills, open plains, and gaps in mountains - places where the wind is strong and reliable. To be worthwhile, you need an average wind speed of around 25 km/h. The blades can be angled to "fine" or "coarse" pitch, to cope with varying wind speeds, and the generator and propeller can turn to face the wind depending on the direction from which it blows. Some designs use vertical turbines, which don't need to be turned to face the wind. 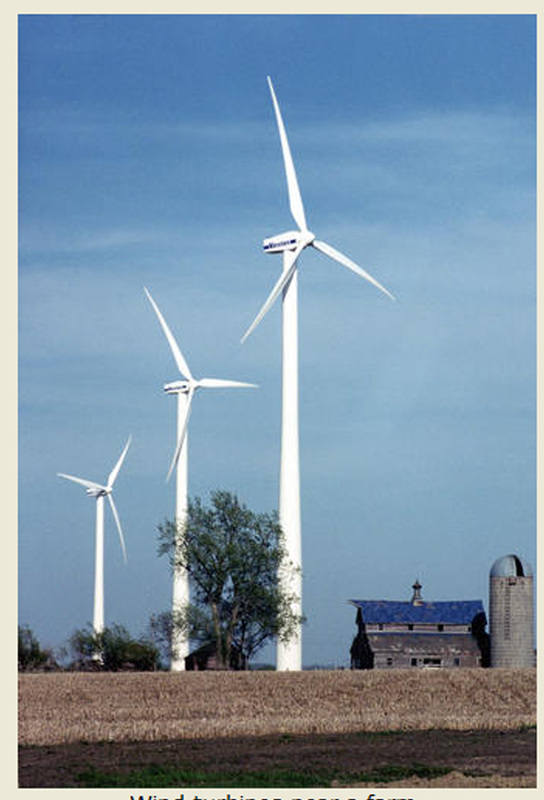 Wind energy is one of the most cost efficient ways of creating electrical energy. Since wind is free, the "fuel" is not only cheap, but it's also "locally" grown. However, it's the "local" part that is a little troublesome. It's only worth building wind farms in places that have strong, steady winds, although boats and caravans increasingly have small wind generators to help keep their batteries charged.